Good luck times nine comes your way when wearing the Copper Penny Bracelet. 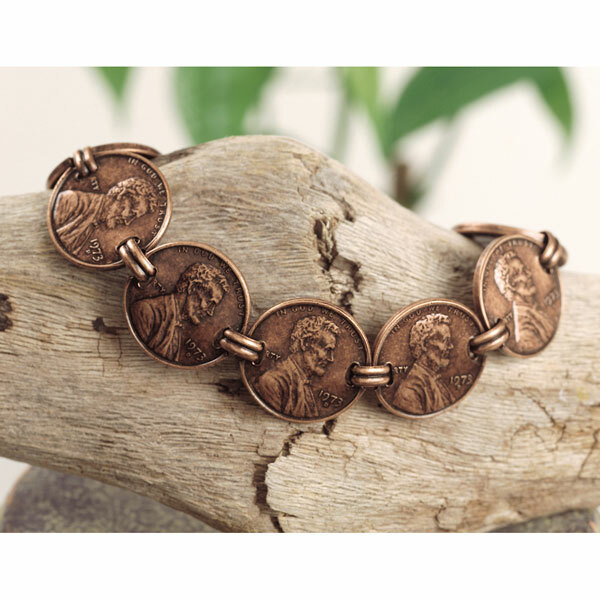 This beautiful copper bracelet features 9 Lincoln Memorial Cents layered in an antiqued copper. The bracelet stays secure with a safety latch. 7 1/2" long. A Certificate of Authenticity is included. Allow 2-3 weeks for delivery. No rush delivery or gift box. Item can only be shipped within the Continental US.